The worlds best selling residential and light commercial rotor sets the standards for an entire industry. Why settle for second best when you can have the sprinkler by which everything else is measured. The PGP® is Hunters original product, the item that put the company on the map in 1981. Its exceptional design and impressive performance placed the rotor a cut above back then, while continuous improvements and enhancements have allowed it to remain the number one selling rotor in the world ever since. With the superior ability to deliver even water distribution from precision engineered nozzles, this sprinkler is unequaled for reliability, durability, versatility, and value. With its patented features and Hunters years of experience in gear-drive technology, its no wonder the PGP remains the professionals choice. Cover all the angles. Fine-tune nozzles to the arc you need. 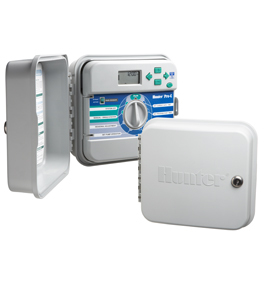 Introducing another new product from Hunter. Our new generation Adjustable Arc Nozzles are made to cover all those in-between angles. Whether hillside topography, a curved flower bed or other special landscape installation, challenging angles demand nozzles that adjust to their surroundings. Dont forget, these are perfect for right out-of-the-box standard angles as well. They offer the best results of just about any adjustable arc nozzle in the industry. Were talking well-defined, clean edges. Engineered to handle bigger water drops, these nozzles also deter winds from dispersing water. With their matched precipitation, you can group them together, even with different radii. And their perforated top makes them easier to adjust than ever. Set our nozzles at any angle from 25° to 360°. Built to work. Built to last. The Hunter HPV is a valve thats both. Because this is a valve with every feature you could ask for to attain long-lasting, heavy-duty performance. Rigid internal support to prevent stress failure in high pressure situations. A unique porting system with a superior ability to filter dirty water that also closes slowly to suppress water hammer. Low-flow capability for effective drip applications. A captive diaphragm, solenoid plunger, and bonnet screws, so lost parts are never a problem. Theres even a flow control option that assures efficient operation when accurate flow management is required. 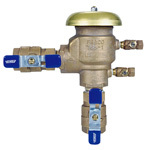 For residential and light commercial applications, the Hunter HPV plastic valve is built to take whatever your site is dishing out. The worlds most simple, accurate, rugged, and reliable rain sensors. in the rain. Mini-Clik® provides the simplest, most effective way to prevent sprinklers from coming on during or after precipitation. Disks absorb water and expand proportionally to the amount of rain that fell (e.g., a small cloudburst would result in little absorption, a 6" thunderstorm would lead to more absorption and expansion). As the moisture-laden disks expand, they eventually activate a switch that interrupts the circuit from the controller to the solenoid valves. Once dry, they contract and release the switch. Thus, Mini-Clik automatically resets without ever affecting your controller. 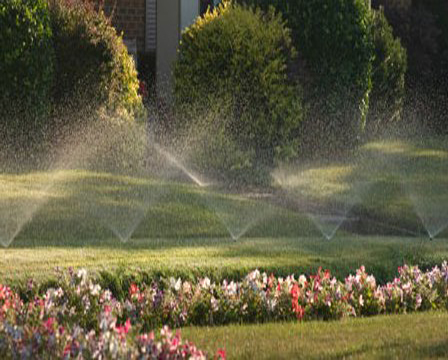 Theres no better way to ensure that a system isnt watering when it isnt necessary. Easily expand from a 4 station base model to 13 stations with 3 station hot-swappable modules, which can be added without powering down the controller. Another example of Rain Bird's legendary reliability, the ESP Modular offers industry-leading surge protection, temperature tolerance and rugged construction. It improves upon Rain Bird's already easy-to-use ESP style of programming with a large, easy to read display and intuitive programming sequence, making this the most user-friendly irrigation controller in its class.